Would you like to win $500 in cash? I have two chances for you to win cash and other prizes plus opportunities to get plenty of free resources—goodies that will keep your students engaged and make your job easier through the rest of this school year and into the next. Cowabunga! Say “cheese!” because this contest and its free resources are something to smile about! First, enter to win $500 in classroom cash, a year’s worth of award-winning Cabot Cheese, or a gift pack of Cabot Cheese products. Then make your classroom “udder-ly” amazing: download free Common Core activities for grades K–5, Healthy “Moos”! newsletters, and perfect-for-preschool theme units. With titles like “Cheesy ‘Cow-culations’” and “Have You ‘Herd’?,” your students are in for some learning fun! Get it all here. Did you Drop Everything and Read to celebrate Beverly Cleary’s birthday on April 12? 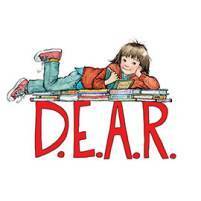 The beloved author of Ramona Quimby, Age 8—the book that inspired many D.E.A.R. programs—turned 99! Let the D.E.A.R. celebration continue in your classroom throughout April—and anytime—with free resources: Common Core–aligned printable activities, D.E.A.R. videos, digital assets, reading lists, and more. Help spread the love of reading here. Here’s another opportunity to win that you don’t want to miss. You could be the lucky teacher to win $500 or one of 25 runners-up to win a class set of 30 Studies Weekly subscriptions. 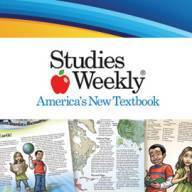 Studies Weekly lets you combine social studies and science content with Common Core language arts. You get more than 900 short videos on topics you teach plus access to extensive teacher resources, daily activities, supplementary material, and handy standards correlations to help plan your lessons. See a video sample and enter to win here. Addressing the cognitive demands of standards and assessment can by tough, but this tool can help. Depth of Knowledge, the Revised Bloom’s Taxonomy Wheel, features six levels of Revised Bloom’s Taxonomy on one side and the four levels of Webb’s Depth of Knowledge on the other side. Its critical-thinking prompts engage students in rigorous and complex thinking. Click here to check it out and request a school sample. How many times have your classroom posters fallen to the floor? If your answer is “too many,” you’ll want to check out TeachersTape. It’s a removable foam tape that sticks when you want it to but comes off cleanly. TeachersTape works well on the hard, nonporous surfaces found in many classrooms—painted concrete blocks, wood, and whiteboards. It comes in continuous rolls and precut pads. 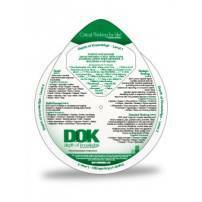 Click here to learn more and to request a free sample. Don’t forget; submit a comment to the blog for your chance to win the three books! How exciting would it be to win these books. My students would love them!!! I love the Studies Weekly videos. I think my students will enjoy them as well. I love the Cabot Cheese resources. I love that there are activities for a variety of grade levels, as I teach all grade levels in an alternative school. I live in Vermont and our Cabot cheese is delicious. Have you tried the latest flavors? Yum. 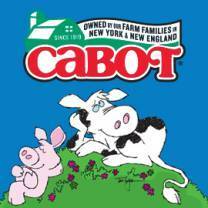 I love the Cabot Cheese resources are interesting. I think the videos are AWESOME!!!. And they go by so fast that the students will stay focused so as not to miss a single beat! I believe this is a very brilliant project with the reources for the videos. What a wonderful prize. I would love to win the cheese package and monies. I teach kindergarten in a school where most of my children are hungry. I could use the cheese and activities to teach good and healthy snacks. What a blessing it would be to win the classroom cash. I would use it to buy games and center activities that would promote health and common core topics for my kindergarten children. Thanks, Cabot and Mailbox magazine. I just entered both the Cabot Cheese contest and the Studies Weekly giveaway! Those are both awesome giveaways! I enjoyed this blog, especially the resources for Science and Social Studies. I can’t wait to read the Frank Enstein science series. Great blog. I enjoyed looking through the featured sites and resources. I loved the section on D.E.A.R. Featuring Beverly Cleary. I have read all her books including her Yamhill autobiographies. Such wonderful choices – but I really liked the Studies Weekly video. We used to purchase these papers and they were awesome. Would love to use them again! Love your blog I have a folder on my desktop that I download the free Common Core activities highlighted each month. When I am looking for activities for my sub-folder or set work I have a folder full of activities all in one place. With a click and thanks to modern technology I have mini units sent to the printer and printed in minutes. Cabot Cheese resource is great for those of you on your school health and wellness teams . I would love to win $500 and to try out the teacher’s tape because almost every day I am having to put the poster back on the wall. I would love to win the Weekly Studies – they are great! So many to choose from this week! Love Beverly Cleary and DEAR time however $500 classroom cash from Cabot Cheese along with the cheese!